Every carrier now has a robust and mature 4G LTE network, so it's almost time to start rolling out a new wireless standard. 5G service will start popping up at the end of this year, but there won't be phones until 2019. Sprint and LG had partnered to launch what they claim will be the first 5G phone in the US. The unnamed device will reportedly arrive in the first half of 2019. We don't know what this mysterious device will be called or what it'll look like. However, Sprint is keen to point out that it's a "truly integrated smartphone." The 5G Moto Mod may very well make the Moto Z3 the first 5G-capable phone, but there's no 5G modem inside the phone itself. The phone hardware is already done, according to Sprint. That means it won't have the universal 4G/5G modem in the upcoming Snapdragon 855 chipset. So, we can expect the phone to have a secondary X50 5G modem in addition to the SoC's 4G modem. Sprint won't confirm any of that, though. 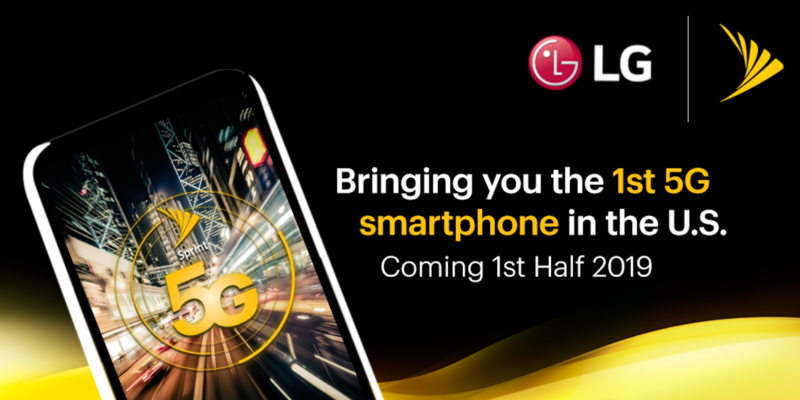 At launch, the LG phone will connect to Sprint's nascent 5G network over the 2.5GHz band, but it could function on more bands in the future. That's significantly lower frequency than the 28GHz range Verizon will use in its initial rollout. It should have a more reliable connection but lower bandwidth. Sprint 5G service will initially be available in Atlanta, Chicago, Dallas, Houston, Kansas City, Los Angeles, New York City, Phoenix and Washington DC.